SEO Brisbane - Brisbane SEO Consulting | Media MC. We’re Brisbane SEO consultants that provide affordable SEO services for small to medium businesses, local businesses and digital agencies. SEO can be quite daunting for businesses as they continue to rely on Google to drive traffic to their websites that results in leads/sales and business growth. But business owners often don’t understand what goes on behind the scenes, and what makes your SEO actually work (or not work). With affordable rates and consulting based Brisbane SEO services, Media MC. will work alongside you, understand your business objectives, educate you along the way and most importantly – not rip you off! You don’t need to spend thousands of dollars per month on SEO like you’ve inevitably been quoted from Brisbane SEO agencies. Working with an experienced SEO consultant provides more cost-effective rates because we don’t have the overheads like they do. On-page SEO (also referred to as ‘onsite’) is considered all things to do within the website, both front and back end. Basically, the information we give Google to be able to understand and interpret it. Offsite SEO is often considered as link building. This is when external websites link to you, thus passing a piece of their web authority on to you. This is still highly regarded by Google as an important element within the algorithm. How users interact with your organic results in Google and how the interact with your website is crucial. 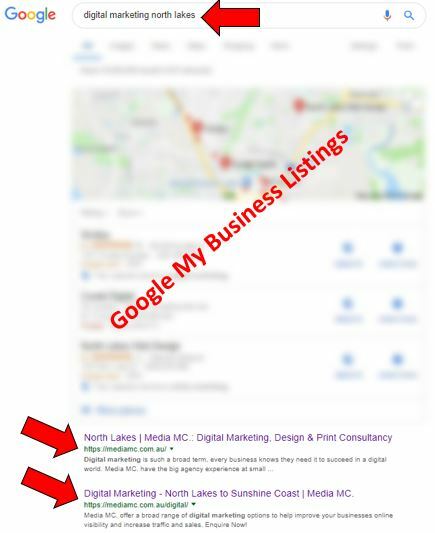 Local SEO aka Google My Business (GMB), is the best way to be found by local customers. If you’re retail, office based, a clinic or practice, bricks and mortar or just have a physical location where you can be contacted, GMB is a must. Local search is now defining local business success, with constant mobile searches and keyword intent ‘near me’, customers want to find their nearest location. 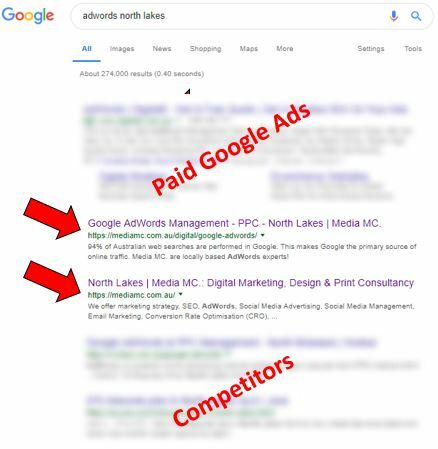 The Google local pack, gives your more local visibility, as well s more real estate if you have SEO rankings below the pack. You need to be visible when customers are searching for you. We don’t have the large overheads like agencies do. We provide affordable SEO services that won’t break the bank. We’re locally based in North Brisbane. So we can meet with you in person and build a real relationship. We don’t outsource, so we provide full transparency over all of the SEO work that we’re conducting for your website. We don’t believe in locking clients into contracts. 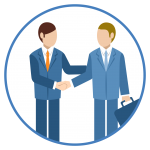 Essentially we operate off a handshake for monthly SEO work. I have worked with Mick across many client projects and have always made introductions with total confidence purely based on Mick's professional attitude and desired to achieve great results. We approached Mick because of his expertise in SMM. Through his exceptional customer service and rapid turnaround times, he took our business to the next level. There is no doubt when you work with Mick he's got your back and is part of the team. We couldn't be happier with his efforts and his attention to detail. I've worked with Mick for a number of years now where he's managed different elements of marketing for my business. He always explains things in an understandable way and is completely open and honest with marketing concepts and outcomes. He's helped us take our business to the next level through branding, marketing and consulting. I've worked with Mick across some of my own businesses, as well as my employment roles. Mick's knowledge of digital marketing is excellent, but the thing that impressed me most about him was that he was much more than just a supplier to his clients. Mick continuously developed lasting personal relationships with his clients which showed me that he really cared about them and their business success. Mick is always prompt, courteous, informative, and generous with his time. There are always prospect/clients/stakeholders that require varying degrees of support and response to detailed questions. Mick is always responsive and understood where and when to bring in the right expertise. I first met Mick a few years ago working on a mutual client. It was obvious that Mick had a very deep understanding of the core strategies around SEO/SEM. It was also refreshing to see the relationship that he had developed with the client. Mick's involvement had a direct link to increase performance for the business. We had engaged the help of Mick late last year in relation to SEO strategy. What engaged me the most about Mick was the fact that he differentiated himself from the rest of the cookie cutter agency reps with out of the box, completely transparent strategy that was tailored to our industry and demographics. I believe that Mick's energy, customer service and knowledge in the digital space is an asset to any company. Without a doubt Mick's strengths lie in his interpersonal skills and ability to relay complex digital strategies in a way that is both educational and easily digestible for clients. I've thoroughly enjoyed my time working with Mick and will certainly be working with him again in the future. A frictionless agency experience is hard to come by... Mick not only supplied that but also ensured results were delivered! SEO in Brisbane is a very competitive market, as well as it is very tarnished. 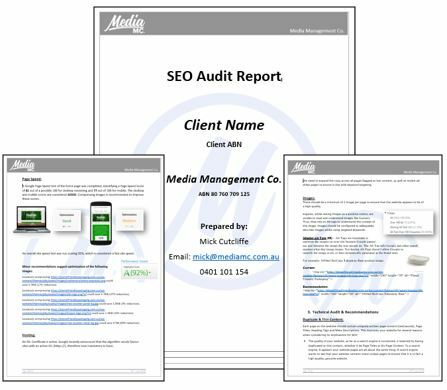 We’re sure you’ve had some experience at some point in running your business where you’ve spoken to a Brisbane SEO agency and been quoted a ridiculous amount for their SEO services. A lot of smoke and mirrors, false promises and empty results. Keep in mind, larger scale agencies have huge overheads, different levels of staff and fancy offices to ‘wow’ you with, but is that really what you need? They’ll also be outsourcing the SEO work to foreign markets, a Brisbane based SEO consultant (like us) or have a junior intern implementing most of the work while you deal with a face-fronting account manager who doesn’t even know the basics of SEO. Media MC. have 8 years of SEO experience. We’ve seen the transition in Brisbane SEO from what it was in 2012, to what it is now. In 2012, SEO was different. In 2015, SEO was different. It constantly shifts and pivots. Now with Google being more sophisticated and more savvy, we’ve got to play by their rules. We’ve worked with start-ups, SMEs, locals, government and enterprise brands, but now we want to focus on the local businesses, as they have the most to benefit from SEO in Brisbane. We want to help the small businesses grow, and that all starts with their SEO. It all starts with understanding your objectives and researching the industry and competitors, as well as the Brisbane SEO landscape. Link building can do more harm than good. Make sure you know how your provider is building links, and ensure you get link reports. SEO is often outsourced to cheaper markets to maximise profit margins. Media MC. do ALL of their SEO work in-house. SEO does take time to gain traction and generate good results, but don’t be suckered into long-term contracts. As SEO’s we have no control over Google, all we can do is abide by their guidelines. Don’t be manipulated or mislead with false promises. Some agencies have account managers that aren’t actually doing the work themselves, a uni grad behind the scenes is. Fancy proposals, suits in sales meetings with glamorous presentations doesn’t quote explain what you actually need. Just because it’s a big quote, doesn’t mean you’ll get big results. SEO is a marathon, not a sprint. You won’t get the ROI. ‘Packages’ in SEO makes us cringe. Every business website is different. They require a unique approach, not a package. © 2019 Media MC. All Rights Reserved.